Posted on May 12, 2016 August 17, 2018 by Joseph Alban, L.Ac. 1. Acupuncture helps to reduce itch. If you’re reading this article, then you probably know that itch is a very common problem for those with eczema. Acupuncture has been shown to reduce itching in those with eczema. According to acupuncture, we say this is because acupuncture helps to reduce wind, dampness, and heat which are common causes of itch in eczema. Physiologically, acupuncture works in many ways to reduce itch. Acupuncture may reduce the itch feeling by changing the itch response in the brain. Acupuncture may also reduce itch by reducing activation of basophils, a white blood cell that is involved in inflammatory response in eczema. 2. Acupressure can also help reduce itch. Acupressure is the massage and pressure at acupuncture points. Acupressure is great because it is something you can do for yourself. Acupressure has also shown potential to reduce itching. One small study showed self administered acupressure at the acupuncture point Qu Che (LI11) reduced itching. Stimulation of LI 11 has also shown to reduce scratching in animal studies. 3. 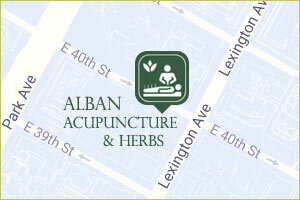 Acupuncture therapy is customized to help improve your health overall. One of the challenges with eczema is that it can make you feel crummy, tired, loose sleep, and generally down in the dumps. One of the great things about acupuncture is no matter what you’re coming in for, acupuncture helps you feel relaxed and improve wellness. In addition, acupuncture is well know to reduce anxiety, improve sleep, and gives you more energy. 4. Acupuncture therapy is individualized for you. When you see an acupuncturist they will individualize the therapy for you. This is based on your eczema symptoms, the appearance of your eczema, and overall body symptoms. 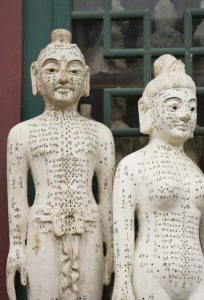 For example, if you have insomnia and anxiety with eczema, you acupuncture may add the points An Shen (Quiet Spirit) and Shen Men (Spirit Gate) to help you sleep and calm your mind. If you have digestive symptoms such as constipation, you acupuncture may add the acupuncture point Tian Shi (Stomach 25) and Zu San Li (Stomach 36). 5. Customized herbal formulas. Acupuncture and Chinese herbs go hand in hand when treating eczema. Chinese herbal formulas work for eczema by correcting the underlying imbalance and regulating the inflammtory processes that cause the condition. On top of all the benefits of acupuncture for eczema, acupuncture is a very safe therapy. And most often people leave the therapy feeling refreshed and relaxed. People often fall asleep during the treatment. This article was written for Dermveda. 1. Pfab F, Kirchner MT, Huss-Marp J, et al. Acupuncture compared with oral antihistamine for type I hypersensitivity itch and skin response in adults with atopic dermatitis: a patient- and examiner-blinded, randomized, placebo-controlled, crossover trial. Allergy.2012;67(4):566-573. 2. Xu Y. Dermatology in Traditional Chinese Medicine. United Kingdom: Donica Publishing Ltd. ; 2004. 3. Napadow V, Li A, Loggia ML, et al. The brain circuitry mediating antipruritic effects of acupuncture. Cereb Cortex.2014;24(4):873-882. 4. Pfab F, Athanasiadis GI, Huss-Marp J, et al. Effect of acupuncture on allergen-induced basophil activation in patients with atopic eczema:a pilot trial. J Altern Complement Med.2011;17(4):309-314; PMID. 5. Lee KC, Keyes A, Hensley JR, et al. Effectiveness of acupressure on pruritus and lichenification associated with atopic dermatitis: a pilot trial. Acupunct Med.2012;30(1):8-11. 6. Lewis-Jones S. Quality of life and childhood atopic dermatitis: the misery of living with childhood eczema. Int J Clin Pract.2006;60(8):984-992. 7. Gould A, MacPherson H. Patient perspectives on outcomes after treatment with acupuncture. J Altern Complement Med.2001;7(3):261-268; PMID. 8. Pilkington K. Acupuncture therapy for psychiatric illness. Int Rev Neurobiol.2013;111:197-216; PMID. 9. Yang C, Hao Z, Zhang LL, et al. Efficacy and safety of acupuncture in children: an overview of systematic reviews. Pediatr Res.2015;78(2):112-119.